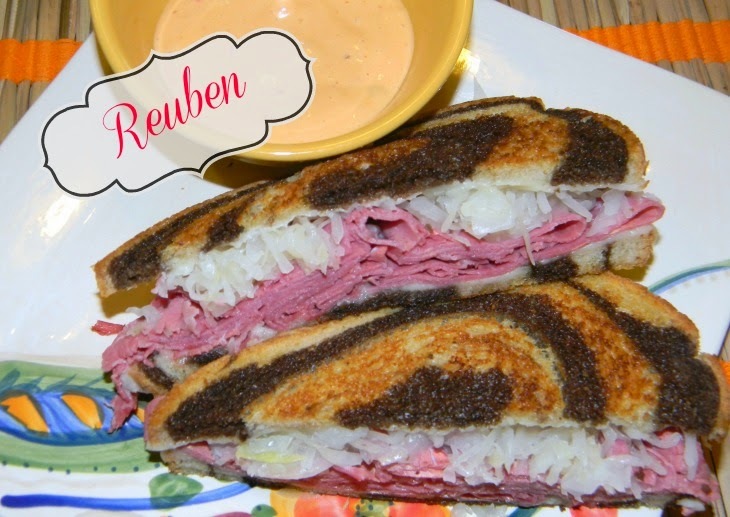 Reuben Sandwiches are a family favorite at our house. Actually anything with sour kraut is a sure family favorite. 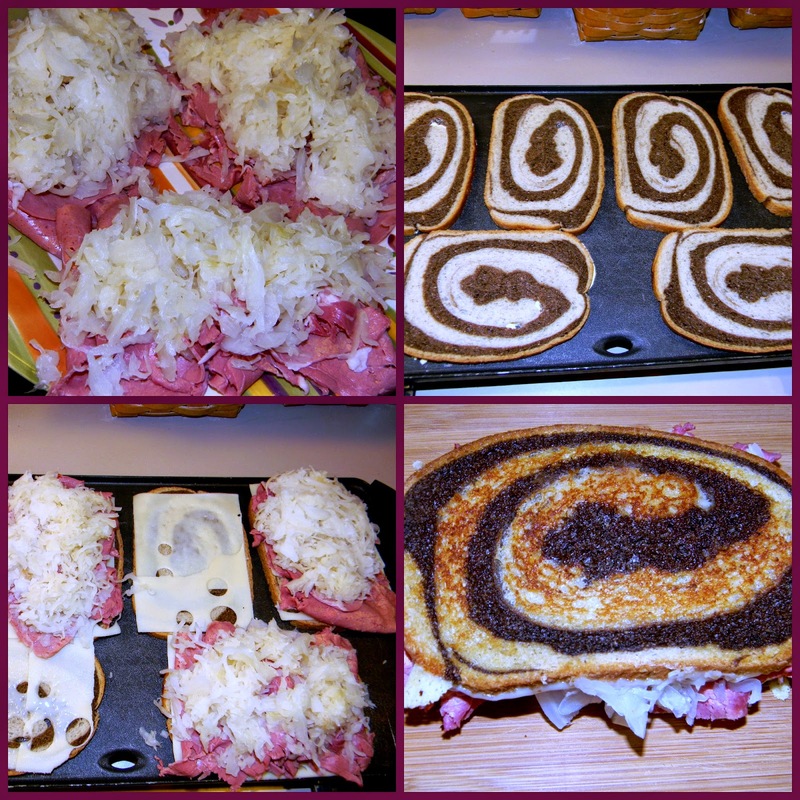 There is nothing better on a cold night than corned beef, sour kraut and Swiss cheese on grilled pumpernickel and rye swirled bread. The last few years when I would buy corned beef from our local grocery store deli it has been a little expensive at $11.99 a pound. Just before Christmas I found a farm market in Plain City Ohio that sells corned beef everyday for $5.99 a pound. Wow what a big difference that is. The market I am talking about is Yutzy's Farm Market. If you are ever in the Plain City area you should stop in. You will fall in love with this farm market as I have. Another of my favorite items they sell is Amish Fried Pies in all flavors along with many other baked goods. arrange corned beef and sour kraut on plate as in top left hand picture and microwave until warm. Butter one side of your bread and place the butter side down on a griddle or skillet. Place 1 1/2 slices of Swiss cheese on each side of bread. After corned beef and sour kraut are warmed place one stack on 5 of the slices of bread. Continue cooking until they are grilled to your liking. Place one of the grilled cheese slice bread on top of a grilled corned beef and kraut slice. Enjoy!